Calendars were never more fun and spiritually enriching! 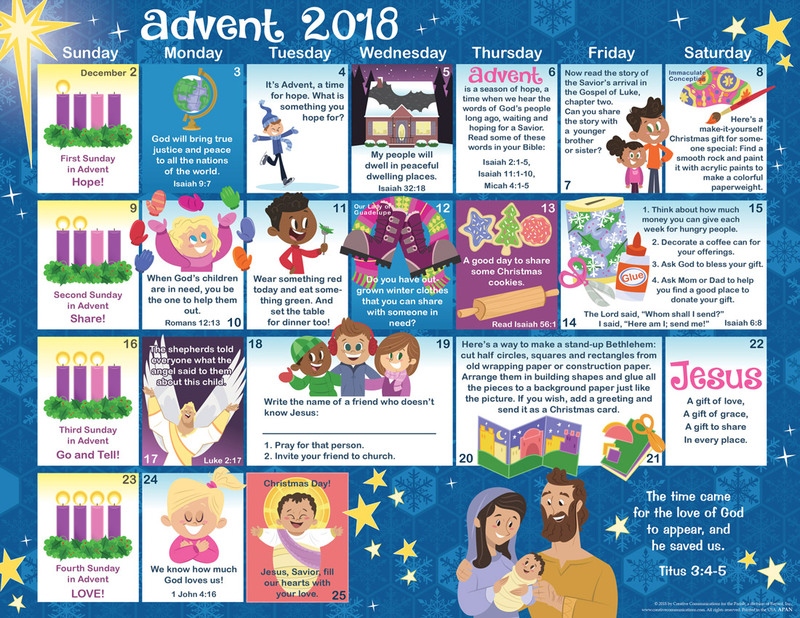 This colorful one-page calendar is filled with Scripture verses, activities, thought starters and Advent images for every day of Advent. Each mini-meditation helps children focus on the coming Savior.